Israel and Palestinian leaders are both at fault. Innocent people (by western, non-religious standards) have been killed on both sides in this extremely complex issue. I am often astounded by the way that American Christians uphold Israel as though it is a nation of pure motives, who can do no wrong and is always acting in self defense. While it appears that Palestinian militants started this one, I think it is unwise for believers to stand behind Israel so emphatically without care or concern for those on the other side–some of those are our brothers and sisters in the faith, let’s not forget them! I think that instead of taking sides, instead of pointing fingers, etc we are called to pray. There are hurt people, defenseless people, frightened children, desperate mothers on bothsides of those walls and in what is shaping up to be a legitimate ground war, we should not forget one group as we vehemently support another. I think the most important thing to do is not to pray for Israel’s success, for further estrangement between the two peoples, or some apocalyptic end of the world on December 20th by means of an Israeli/Palestinian ground war that goes viral. I think we should be praying for peace. 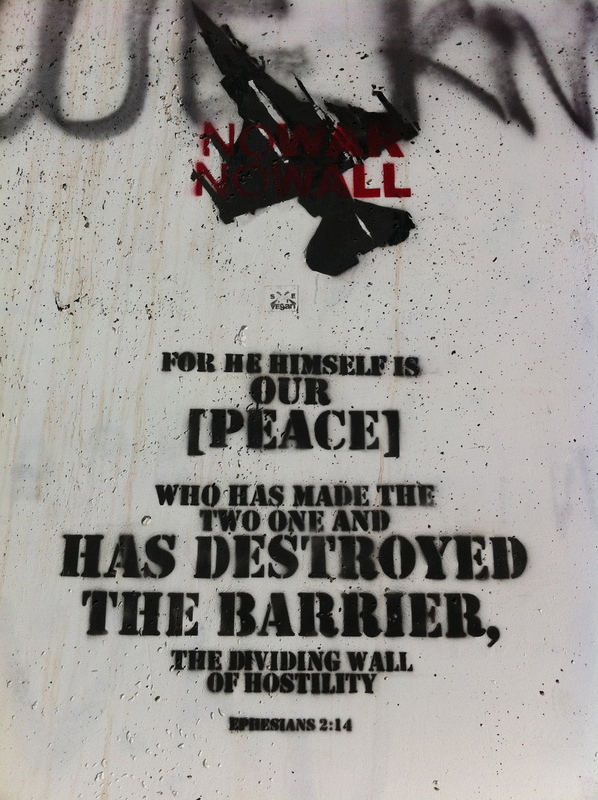 Peace in Jerusalem, Bethlehem, the Golan Heights, Gaza and the entire region. It has long been a volatile place in the world. As people of peace, we should be on our knees, asking God to work reconciliation in the heart of his creation and we should be about the business of serving those afflicted whether they speak Hebrew or Arabic. This, I think, is our calling as believers and followers of the Nazarene who told us to be shalom-makers (Matt 5.9) and who gave us the ministry of reconciliation (2 Cor 5.18).